This document contains information on how tags are implemented in Project Jellyfish and how they can be used. 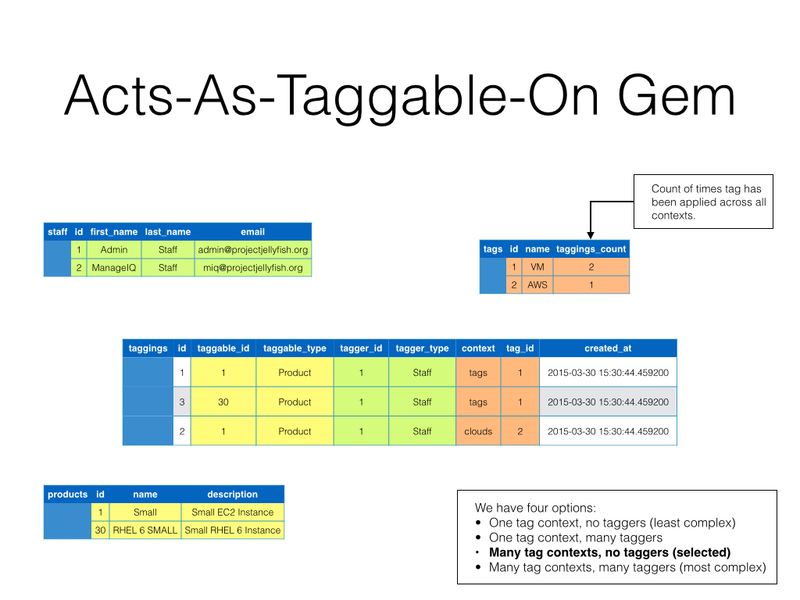 Acts As Taggable On uses scopes to create an association for tags. This way you can mix and match to filter down your results. You can also use :wild => true option along with :any or :exclude option. It will be looking for %awesome% and %cool% in SQL. Tip: User.tagged_with() or User.tagged_with('') will return , an empty set of records.